I’ve learned a lot from these accomplished artists and photographers and feel privileged to count them among my good friends. 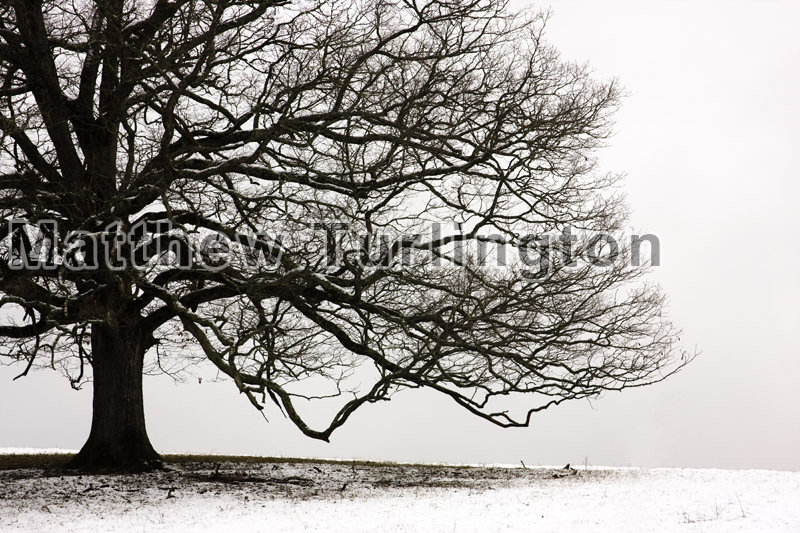 Ed Kelley … Ed is a master of landscape and nature photography and prints his own large format images on canvas and paper. Recently he has been offering classes in digital photography in Waynesville. Jo Ridge Kelley … A versatile painter, Jo Ridge is one of Western North Carolina’s recognized “Master Artists.” Her paintings are carried by prestigious galleries and purchased by collectors. Bill Weldner … Bill is a painter, graphic artist, graphic designer, photographer, and art instructor. His recent work uses advanced digital techniques to combine and manipulate multiple images in Photoshop. Elisa Holder … I have had the pleasure of photographing and printing giclée reproductions of Elisa Holder’s fascinating paintings. 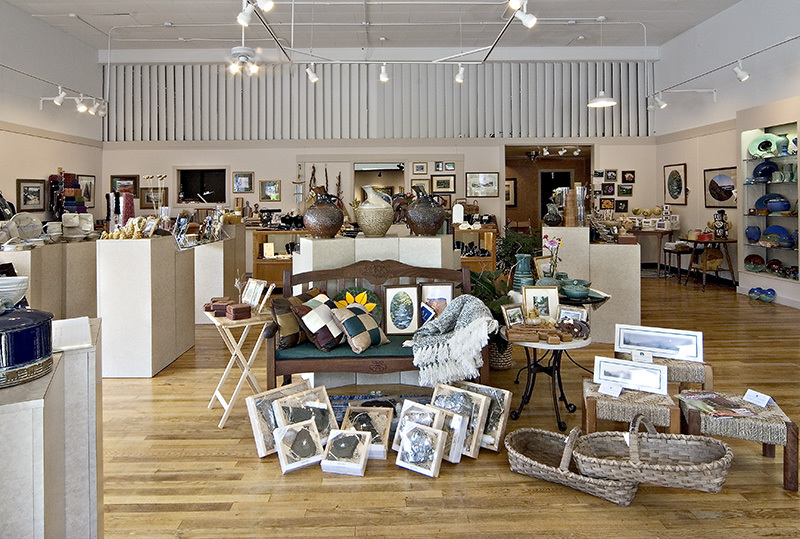 Her day job is managing the Earthworks Gallery (below) on Main Street in downtown Waynesville, NC. Penny Wagner … Penny is a painter and the owner of Blue Owl Gallery (below). I was friends with Penny’s late husband, Garey, who had a wealth of knowledge about many things, including marketing and presentation of fine arts and crafts. Garey encouraged and assisted me in the early stages of my photography. During that time Penny began painting her signature bears and other regional wildlife on canvas and wood. With Garey’s help, her work became an immediate hit locally and soon had national distribution. Next time you’re in Western North Carolina make it a point to visit these wonderful galleries, frame shops, and boutiques. You’ll thank me. Earthworks Environmental Gallery … What a cool gallery and frame shop! They seem to have everything, all in the best of taste, all affordable. And great people to wait on you. I like to hang out there and chat with their interesting and entertaining staff! Located on Main Street, in downtown Waynesville, NC. 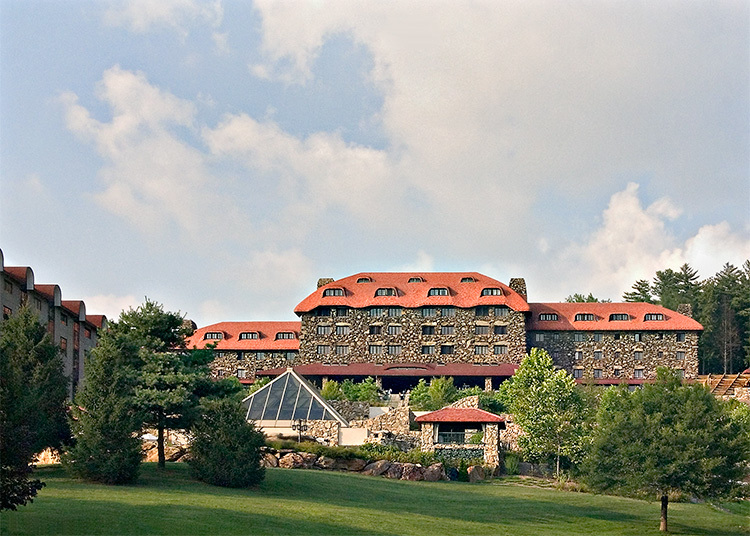 Gallery of the Mountains … Prestigiously located near the lobby in Asheville’s world-renowned Grove Park Inn. They have carried my note cards and post cards for almost ten years and are partners with the award-winning Grovewood Gallery, just across the road from the Inn. It’s by Nature … It’s by Nature: A Gallery of Southern Crafts is simply one of the finest crafts galleries in Western North Carolina. Located on Main Street in downtown Sylva, NC. Sandi Cooper, the owner, held my first show there in 2004, and she’s been carrying my framed work ever since. 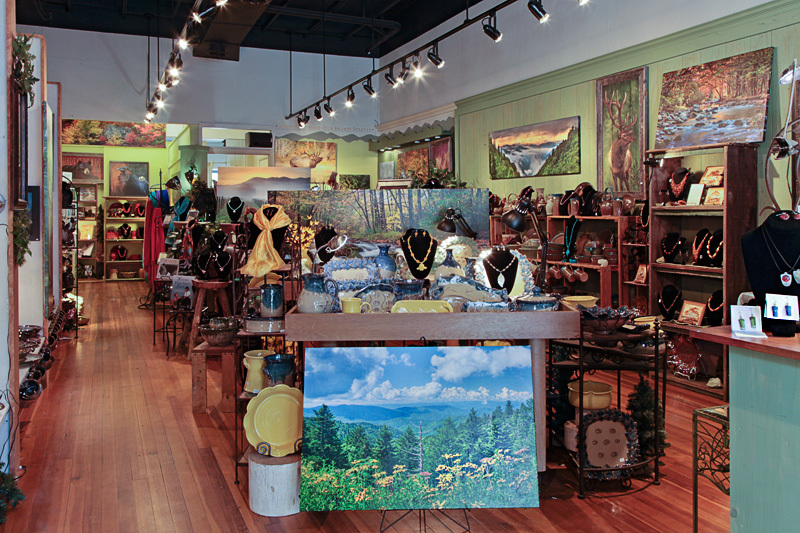 Great Smokies Creations … Great Smokies Creations is a large, full-service frame shop and art gallery located just a few minutes west of Waynesville. 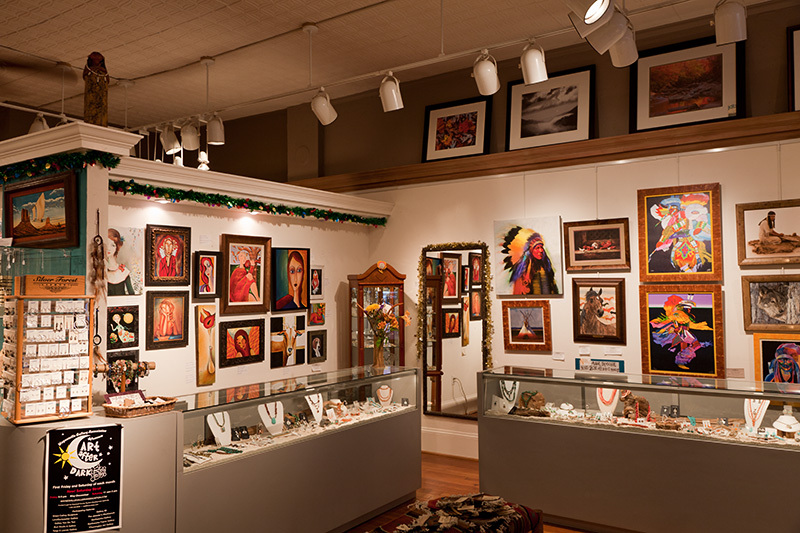 They sell framed paintings and photography by well-known local artists and also offer a first-rate, large-format printing service. I am proud to be associated with them. Penumbra Gallery and Studio … Fine-art photographer, printer and photography instructor Matthew Turlington opened his spacious gallery on Main Street in downtown Sylva, N.C. almost nine years ago. He prints and frames his large canvas giclèes on a state-of-the-art Epson printer. His framed or gallery-wrapped prints are displayed in private homes, resorts, offices, and government buildings throughout Western North Carolina. Matthew also offers portrait and commercial services. Blue Owl Gallery … Located a couple of doors down from Earthworks, on Main Street in Waynesville. Their collection of jewelry, local pottery, large canvas prints and gift items reflects the good taste of the artist-proprietors of this small, successful gallery. Large canvas giclèes of Penny Wagner’s wildlife paintings are featured along with the stunning, panoramic photos by Doug Cavanah. Oh yeah, and they have a spinner rack filled with my photo note cards. Elementality … A most unique boutique, located in the Asheville Mall and owned and operated by two of the nicest people I know. It’s amazing how often Elementality comes up in conversations — seems everyone has been there. And judging from what I hear, everyone had a good experience. Our country needs more independent business with Elementality’s high standards for quality merchandise and customer service. 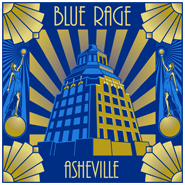 Blue Rage of Asheville … I’m happy to now have more than a dozen of my home-printed photo note cards in one of Asheville’s most interesting and diverse shops (offering gift items under $10 to fine art from $600 to $7500). 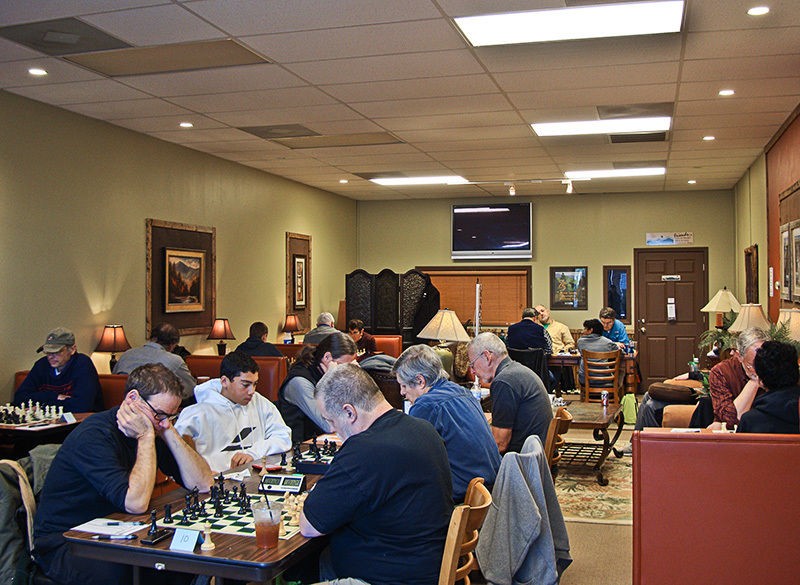 According to director Rebecca Jordison, “Blue Rage brings her passions together under one roof offering a little bit of something for everyone.” My first purchase there was a pound of Boogie Bean Coffee (Earth Day blend). My next purchase was a blue T-shirt with their Asheville art deco logo, pictured here. 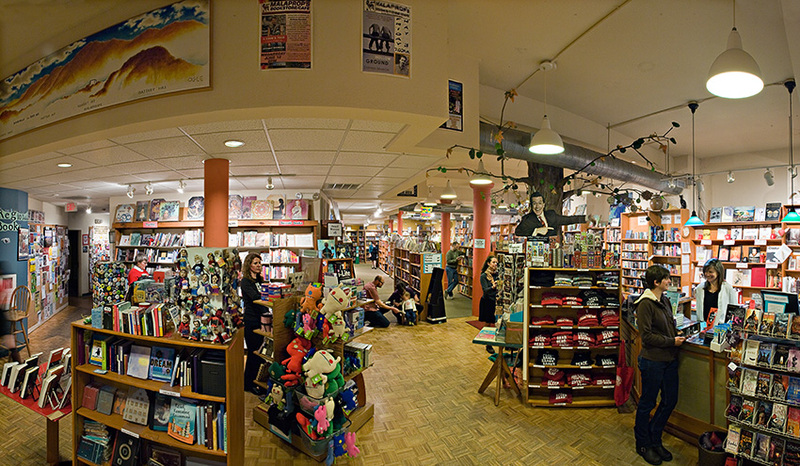 The bookstores in Western North Carolina are as unique and special as the galleries.